I feel like we should roll out the red carpet for O’Brother when they play in Columbia tomorrow night. For about two years they were on the road playing every show they could all over South Carolina, the East Coast and Mid West. Some nights they were playing to 10 people. On good nights they were playing to 100. But about a year ago that all started to change. With Garden Window in the works, O’Brother started to take off. They joined Manchester Orchestra and Cage the Elephant on tour playing for 1000+ crowds every night and over 2,500 at their last Columbia show. 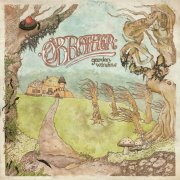 Things have yet to slow down for O’Brother. Their new album Garden Window has enjoyed a warm reception from fans and a tour with Thrice, Moving Mountains and La Dispute was just what the album needed to get it off its’ feet. While the album was released digitally in November, the physical release is January 10 accompanied by a hometown release show in Atlanta January 6. So after 6 weeks on the road, 13,000 miles logged, 35 shows and The Stuffing in Atlanta, O’Brother will be making their way to Columbia Tuesday November 29. Prepare for bold sounds. Go ahead and plan on taking Wednesday off to nurse your bangover. We’re also offering the opportunity to win tickets for you and a guest. Not only will you get in free, but you have the choice of a free t-shirt or a copy of the new vinyl. All you have to do is help us spread the word. Post this link to your facebook or twitter and tag SceneSC to enter to win. We’ll announce the winner at Noon tomorrow.